If you don't know how to cook asparagus, here are some advices and some tasty and easy asparagus recipes. They are a typical spring vegetable, whose season is quite short. Its tops can be white, green or purple in color. Wild are thin and strong-flavored. Gourmets appreciate them as a true delicacy. They can be eaten cooked, but they are equally good for storing. With them we can make soups, salads, and stews. They are allegedly very curative as well, although that hasn't been officially acknowledged. 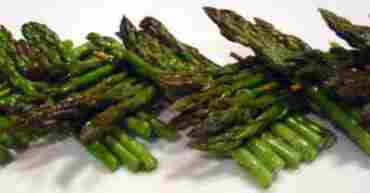 However, due to their diuretic attributes, asparagus are not recommended for people with acute inflammation of ankles, urinary tract and prostate. They have very low nutritional value and contain a lot of minerals and vitamins-mostly potassium, phosphor, sulfur, calcium, magnesium, vitamin C and almost all of the vitamins from the B group. If you want to cook fresh asparagus, the best way is to tie their burgeons in a bundle and put them in a deeper pot, after which you pour the water until it fills half of that pot. When cooking them, it's required to put the lid on the pot (or better yet in a pressure cooker). Prepared that way, they have an amazing taste, and their nutritional value is preserved. Wash the asparagus. Cut them in large pieces, and remove its harder part. Sautee in oil, add some lukewarm water and sautee until tender. Press them with a fork. Whisk eggs and pour over asparagus. Mix until eggs are done. Wash the asparagus, cut off their hard parts and put them to cook in water, in which you added 1 tsp of salt. Cook for 20-30 minutes, until they soften. Drain well, but don't throw the water in which they have been cooked. Put butter and flour in a deeper pan and fry gently for 1-2 minutes. Add the water in which they were cooked, add salt and pepper to taste. Blend the cooked asparagus and add them to the soup. Leave a few tops uncut. Boil for a few minutes on a low flame. Meanwhile, mix the yolk, cream, a few tablespoons of soup, asparagus and nutmeg. Add to the soup and stir well. Add salt if needed. Cook until the soup boils, and remove from heat. Sprinkle with finely chopped fresh parsley prior to serving. Clean the asparagus and chop their ends off. In 1 liter / 33 oz salty water add sugar and cook the asparagus. After 20 minutes take them out and leave them to drain. Put some oil in a baking pan and place the asparagus. Eggs need to be hard boiled and chopped in small pieces. 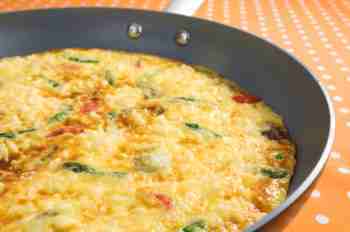 Add chopped parsley, melted butter, salt and pepper to taste and mix it up well with the eggs. Beat the stakes with a kitchen mallet and add salt and pepper. Fry them in oil and when they're done, align them on asparagus and pour the butter-eggs-parsley mixture over them. Sprinkle with grated cheese. Bake the casserole in oven for another 10-15 minutes at 180°C / 350°F. Wash and carefully peel the asparagus. Boil salty water with a teaspoon of sugar and oil, and cook the asparagus in it for 6-8 minutes. Remove from fire and let it cool in the same fluid in which it was cooked. 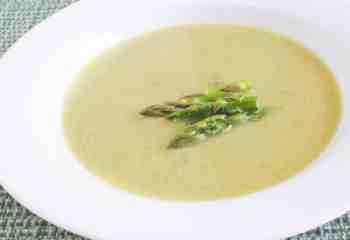 In ½ liter of the asparagus soup, add vinegar and one teaspoon of sugar, boil and let it rest for a while. 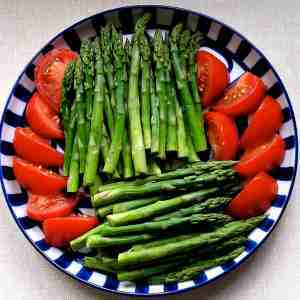 Put the asparagus in a bowl and then place lemon slices and pepper grains in between them. Pour the soup and vinegar mixture over it and close the jar airtight. Clean the asparagus well and cut off their woody inedible part. Slice the tops into small pieces. Put them in boiling water into which is added 1 teaspoon salt. Boil for 20 minutes on a low flame. Mix oil, vinegar, onion and parsley well and pour over asparagus. Decorate with boiled egg slices. Wash the asparagus, cut away the lower parts of the stocks. Cut the soft parts with tops into small pieces. Heat the olive oil in a separated pot and add mashed garlic. 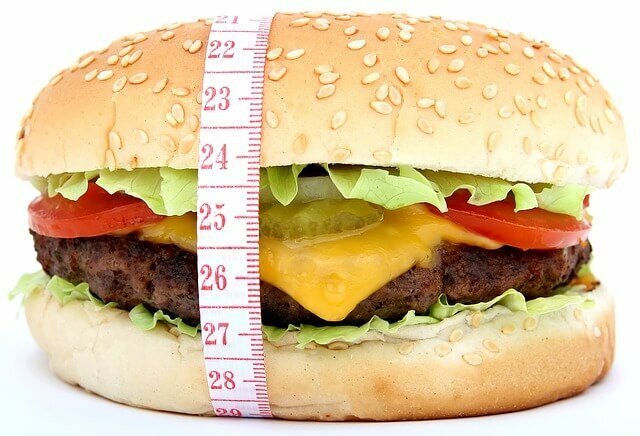 After 1-2 minutes add rice and fry it shortly to absorb some fat. Gradually, stirring constantly, add the hot vegetable stock and cook until rice is done. When rice is half-cooked add the prepared asparagus, season to taste and cook until soft. When the rice is done, mix olive oil and cream in a separate bowl and add to the rice. Let it rest for 3-4 minutes.